Reports across Europe suggests that Juventus superstar Paulo Dybala, could be making a move to Manchester United in January as the Premier League giants are plotting a club record transfer deal worth £155m for the striker. Manchester Evening News, Jose Mourinho is interested in further strengthening his team with the inclusion of Paulo Dybala in January despite the significant signings of Victor Lindelof, Nemanja Matic and Romelu Lukaku in the summer transfer window. 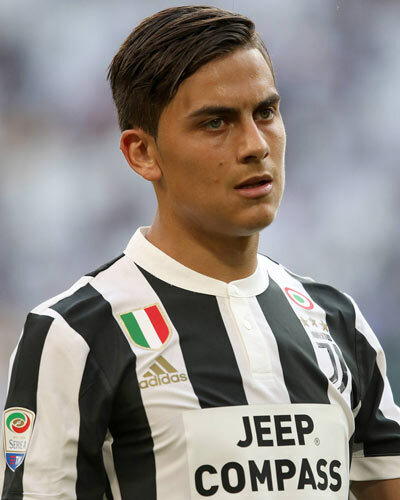 Paulo Dybala caught the attention of many football lovers due to his superb performances for Seria A side Juventus last season and has been tipped to be a potential Ballon D’or winner. He has continued his impressive spell this season for Juventus having scored 12 goals in eight matches this season and recently put up a man -of – the match performance in their 4 – 0 win against Torino where he found the back of the net twice. The Argentina International footballer could be looking at joining his former teammate Paul Pogba at Manchester United who had earlier made a world record switch to Manchester United for a fee of £89m. The 23-year-old is also reported to be in the radar of Spanish giants Barcelona but Juventus has said the striker does not have a release clause in his contract so both Manchester United and Barcelona would be looking at making an irresistible offer to the Italian club.